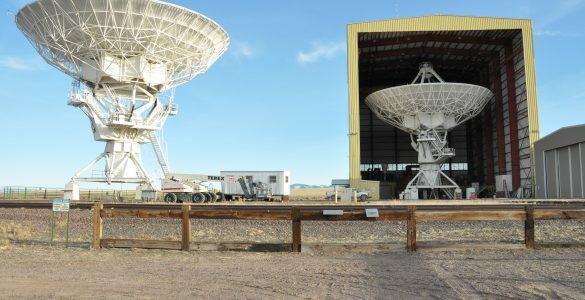 These antennas are the 7-meter antennas built by our Japanese partners. 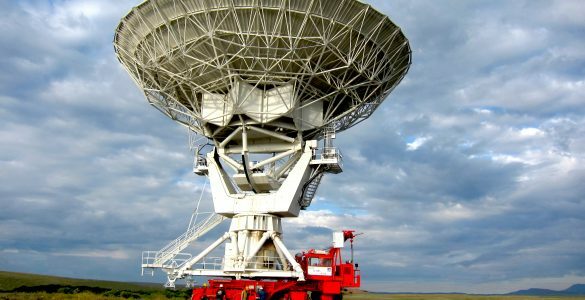 All together, there are 12 of these smaller antennas that are all located close to the center of the overall array. 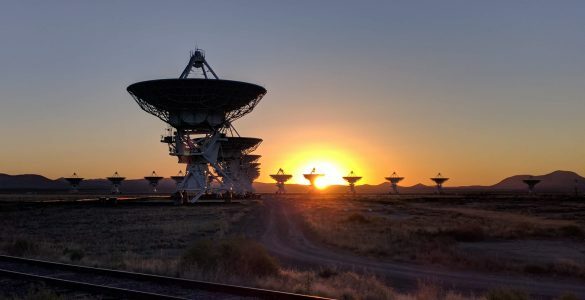 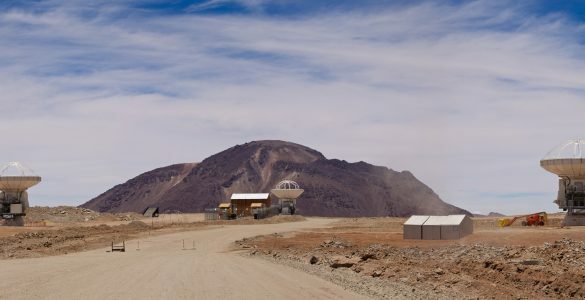 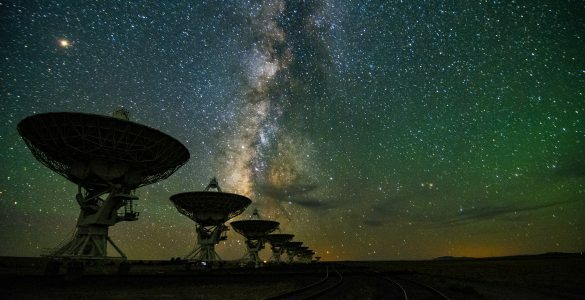 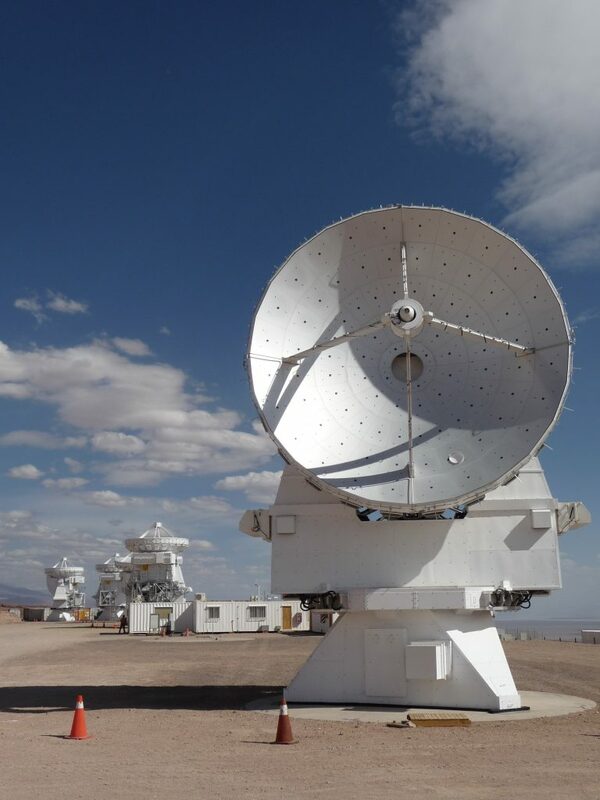 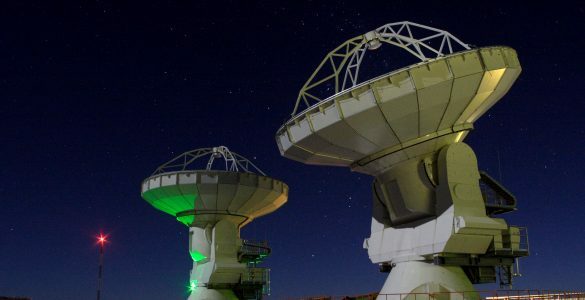 They work in conjunction with four other 12-meter antennas to form the Atacama Compact Array (ACA). 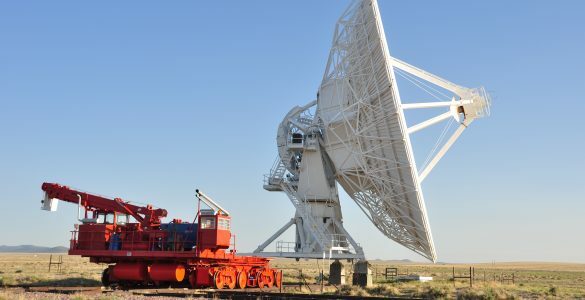 Because of the extremely close spacing, the ACA is able to very accurately simulate a single antenna and image very faint objects visible in the millimeter/submillimeter part of the electromagnetic spectrum.